Human rights are for everyone, everywhere. No exceptions. Justicia es para todos. 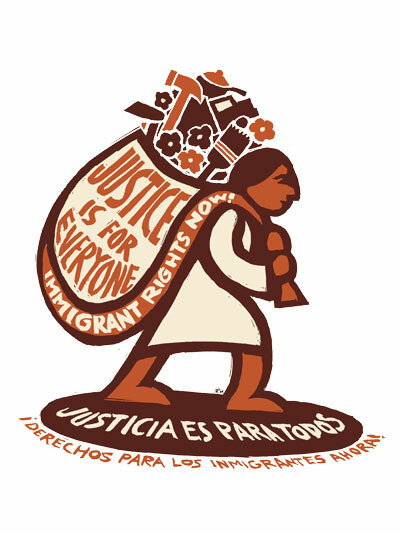 In this English/Spanish immigrant rights poster, a migrant is shown carrying their belongings on their back. In the bag are the tools of the trades where immigrants are often forced into work for low wages. The poster is 11×15″ and printed on cream-colored paper.